To say Reyga had been pleased to see Lenai would have been an understatement of epic proportion. Jason smiled again as he remembered the expression on the old Loremaster’s face when he opened the door. Although they both protested, he excused himself, saying that he needed time to recover from the ritual. While that was true, he really thought they needed some time to talk without him around. Now, alone in his room, he thought about what he’d seen and felt. Seeing firsthand how his words and actions affected others had been a sobering experience. At least now he knew which side he was on, even if he didn’t yet know how he was going to make a difference. He twisted around, scanning the room. He jumped up when he saw a fortunewing staring at him from the sill of the window. “Where’d you come from?” he asked it, then continued his inspection of his room while watching the fortunewing out of the corner of his eye. He was waiting for someone or something to appear. He slowly turned back to the window. No way, he thought. “Are you talking to me?” he said to the fortunewing. “What? Mate? No! I mean, she’s pretty and all but… Y’know, I really don’t think that’s any of your business.” He rubbed his forehead. I’m arguing with a telepathic bird on another planet about whether or not a human chameleon is my girlfriend. I think my weird-o-meter is broken. “I like her.” The bird still sounded amused. Crin didn’t answer right away. Jason got the impression the bird was listening to a voice that he couldn’t hear. He felt a tickle inside his head. He glanced around the room. Nothing was different. He moved to the window and stared at the forest below. It looked just the same as every other time he’d looked at it. He focused on a bird circling high overhead. Nothing. “Wait!” he called, then realized that he might be overheard. Will you come back? Wait, he thought as Crin disappeared into the forest. But there was no answer. “A spy? That is a strong accusation, Captain.” Tal was taken aback at Gatlor’s blunt declaration. When Gatlor asked to speak with him, he assumed the captain planned on discussing strategies or defense plans. Instead, the veteran warrior opened the conversation with the last thing he expected to hear. Tal could think of at least a few beings that the wards would have little effect against, but did not see the necessity of mentioning them. Other than those notable exceptions, he had to admit, Gatlor’s theory seemed to be the most plausible. The wards were only to keep portals created outside from opening up inside the keep. A spy already inside would have no difficulty reporting any plans to an outside accomplice. He considered what Gatlor had said. Certainly someone had been inside Lore’s Haven; otherwise Loremaster Chon would still be alive. Loremaster Delani would be outraged, but they had to consider all possibilities. Then his thoughts turned to Bodann. Did he have enough power to penetrate the wards? He had been formidable when at Lore’s Haven. Had his power grown? Or was Regor or one of the other Altered aiding him? Jason studied the forest below, trying to get a glimpse of the fortunewing, but he couldn’t see past the thick leaves. A knock on his door pulled his attention away from the window. A Warder stood outside. He followed as the Warder turned and began walking down the corridor. A few minutes later, he walked into the Circle chamber, apparently the last to arrive. The Loremasters were standing in twos and threes immersed in quiet conversations. He noticed that only eight Loremasters were present, and then, with a pang of guilt, realized who the missing one was. Gatlor and two other men he didn’t know sat in the chairs facing the Circle. As he entered the room, the Loremasters turned and nodded greetings to him. All except for one. The Loremaster named Brin wouldn’t look at him at all. Bothan’s parting words echoed again in Jason’s memory. Was Brin working for Bothan? At this pronouncement, the Loremasters began whispering among themselves. Gatlor remained motionless, his face impassive. Jason watched the Loremasters’ reactions. All seemed equally surprised by this remark, again with one exception. Brin was staring at Jason with a strange look on his face, but when Jason looked at him, the Loremaster quickly looked away. Delani stood. “High One, do you or Captain Gatlor have any suspicions as to who this spy may be?” She looked ready to go out and apprehend the guilty party herself. He clasped his hands and rested them on the podium. “There is, of course, ourselves, the Circle.” At this, the Loremasters looked around at each other. Most wore expressions of skepticism. The High One again raised a hand. “Please,” he said. “I do not give this suggestion credence. I merely mention it as one of the logical possibilities. I have already told Captain Gatlor that if one of us is a traitor, I will step down from my position as High One.” This seemed to satisfy the Loremasters, and they settled back in their seats. “The next group is Captain Gatlor’s officers. This, too, I find difficult to believe, although the captain certainly knows his officers better than I.” He turned to Gatlor. Gatlor stood. “High One, I would trust each of my officers with my life. But when it comes to the safety of Lore’s Haven, I rule nothing and no one out.” Then he sat back down. Crin? he said in his head. No answer. Nyala? Still nothing. Just the cryptic remark. See the unseen? What did that mean? He looked around the room, not knowing what it was he was looking for. Concentrate. On what? A little more information would be helpful! he yelled in his head. But there was still no answer. He saw Loremaster Delani stand up so he tried focusing intently on her. Her eyes were blazing, but when she spoke, her voice betrayed only the slightest hint of tension. “High One,” she said, “the saiken who opened the portals were all members of my order. Is it your belief that the traitor is in the Amethyst Order?” This time she didn’t sit down. 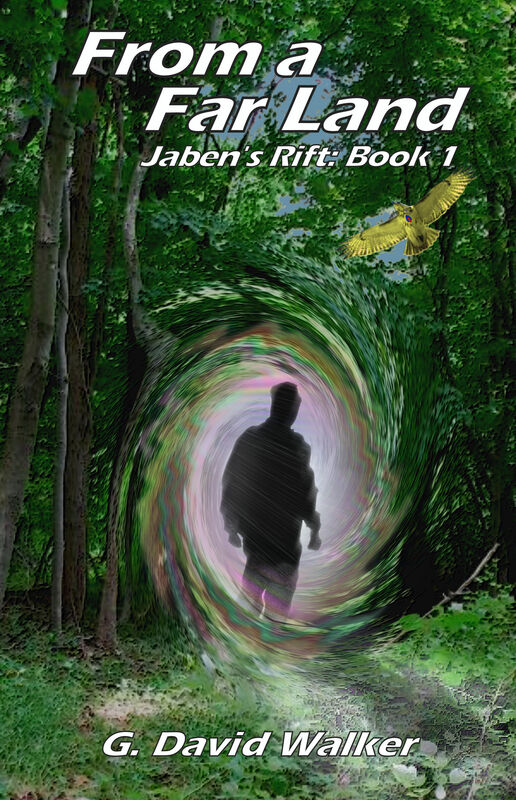 Concentrating intently on Delani, Jason felt the same tickle in his brain that he’d felt with the fortunewing. Then, a brilliant purple aura blossomed around the Amethyst Loremaster. He blinked and looked again, but the glow was still there. After a moment, Delani nodded. “Of course, High One,” she said. “I apologize for my unwarranted reaction.” She didn’t seem aware that anything had changed as she retook her seat, although she still looked irritated. As he looked around the room, he saw that everyone was surrounded by a glow, each a different color. A sparkling green aura surrounded Reyga, while Seryn glowed bluish-white. Just like their hands when they examined me, he thought. The High One had a cream-colored aura, and the rest of the Loremasters glowed red, orange, yellow, and blue. Do they all see this and I’m just now seeing it? he wondered. Or am I the only one that can see the auras? Is this the unseen? He forced himself to relax so that he wouldn’t draw any attention to himself. He casually glanced around the room as the High One answered the question. Even Gatlor and his commanders had faint glows, although their auras were not nearly as intense as the Loremasters’. Does the brightness have anything to do with how much power they have? He kept scanning the room as the High One talked. Then, just behind the seated Loremasters, almost obscured by the light surrounding them, he saw a faint outline against the wall. It was as if someone’s aura had remained behind after they’d left the room. He blinked his eyes, thinking it might be an afterimage of one of the other Loremaster’s auras, but it was still there. There was someone else in this room. He looked away. He didn’t know why the mysterious guest was here, but he didn’t want the figure to know it had been discovered. He tried to turn his attention back to the podium. 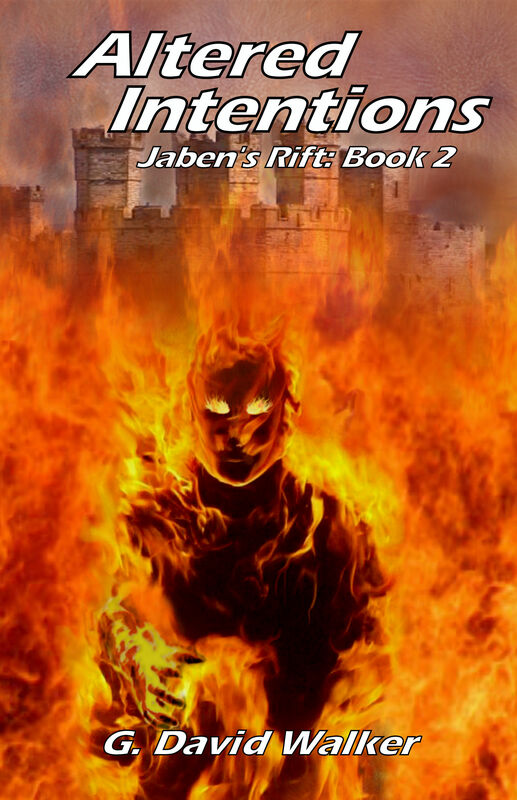 Jason pretended to look around the room again, his eyes sweeping without stopping across the figure against the wall. It hadn’t moved. “Nor do we, Captain Gatlor,” the High One stepped back to the podium. Gatlor inclined his head and took his seat. “May your power be exceeded only by your honor, High One.” They all stood and began filing out of the room. As he stepped into the Corridor, Jason heard Reyga calling his name. He stopped and waited for the Loremaster. Reyga nodded, and the two of them headed for the dining hall. Looking at the people they passed, Jason saw that everyone was surrounded by a glow. The auras came in all different colors and intensities. By the time they finally reached the dining hall, he felt like he was in the middle of a pastel river. He was sure he’d seen every color in the rainbow, plus a few new ones he’d never before experienced. Jason took his seat while Reyga made his way toward a group of students on the other side of the room. Reyga began speaking with one of the students. Jason noticed that the boy’s aura was the same color as Reyga’s, although not as strong. It must have something to do with what they’re good at, he thought. A plate of food was brought to him, and he began eating. He put his spoon down as an idea struck him. Looking around, he spotted a young woman sitting nearby in an animated discussion with some other young men and women. The glow surrounding her was silvery white. He went over to them, stopping beside the girl. She looked surprised. “Loremaster Reyga spoke of me?” She looked at the Loremaster across the room. “Yeah, well, like I said, sorry for interrupting. I guess I’ll get back to my food. It was nice to meet you.” He turned and walked quickly back to his seat. As he ate, he thought about what he’d learned in their brief conversation. The girl acted like she didn’t know how he knew she was one of Seryn’s students. That meant that either no one here could see the auras, or, as a Far Planer, she didn’t expect him to be able to see them. He needed more information. Just then Reyga returned and sat down. Well, that was one question answered. Now all he had to do was figure out what Brin was up to. After the meal, during which Reyga thanked him several times for what he’d done for Lenai, Reyga asked him what he planned to do that afternoon. As they walked through the halls of Lore’s Haven, he thought about the strange figure. At first he wondered if it could have been Bothan, but dismissed the thought. It hadn’t been nearly large enough. None of them had acted like they knew it was there. If no one else could see these auras like he could, that would mean no one else would know about an invisible lurker. He glanced around the corridor, but didn’t see any other disembodied auras. “Reyga,” he said, “are there any other races in Teleria besides the Shanthi that can make themselves invisible?” He hoped the fact that Reyga had spoken so much about Lenai over lunch would make the question seem innocent. He nodded. If that was true, then that meant that their unseen guest had to have been a Shanthi. 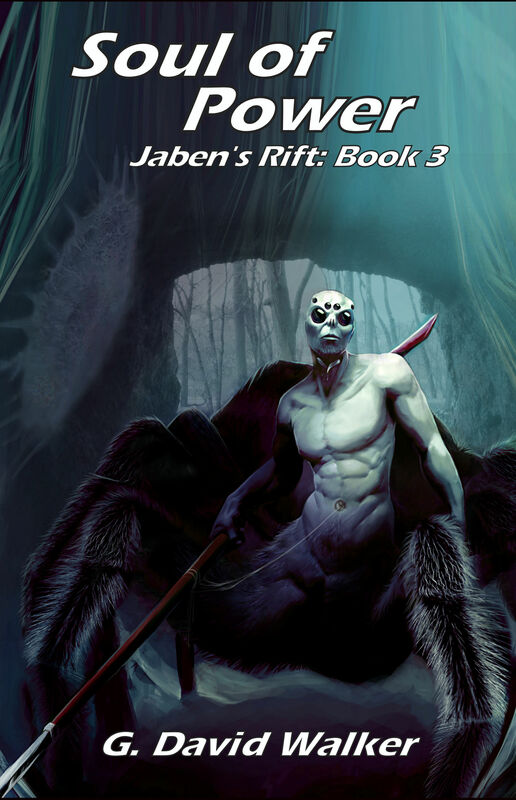 Posted on May 28, 2017 May 31, 2017 by Dave WalkerPosted in Jaben's RiftTagged Fantasy, Jaben's Rift.